9 Tips To Increase Customer Loyalty - Caspian Services, Inc. When running a business, it is important to focus on new customer acquisition. However, did you know that it can cost up to 7x more than customer retention? While you should be working hard to grow your customer base, it’s important to remember the value behind customer retention and brand loyalty. When it comes to brand loyalty, you need to make sure you are giving your customers a great experience. Keeping those repeat customers happy and loyal to your brand and business not only brings you to repeat business, but it can also, almost always, guarantee new business from customer referrals. And, as you may know – customer referrals is the best way to generate business – free of charge! Today, we are going over 9 tips you can use to increase your customer loyalty – which will increase your sales! If you want a few ideas on other ways you can say “thanks” to your customers, check out our blog post, HERE. Take time on social media to listen to your customers. Nowadays customers go to Twitter, Facebook and sometimes Instagram first when they have a problem. Do your best to be there (monitoring social media) to help solve common problems they may have. Try not to just redirect them to your customer service page. Speak to them in the comments or via DM and help them find a solution or get them directly connected to the person who can help them (with the least amount of wait time possible so they do not have to sit on hold or wait for an email response). Successful businesses always go out of their way to listen and offer great customer service. Is there a feature, service, resource, upgrade or something of value that you can offer your customers that your competitors don’t? Offer one of these to your customers if possible. A loyal customer will always appreciate receiving a small upgrade of some sort, especially if it’s not something typically offered to the public. If for any reason you can’t do it this way (maybe it would just cost way too much) then give them the special attention that they would not receive with your competitor. 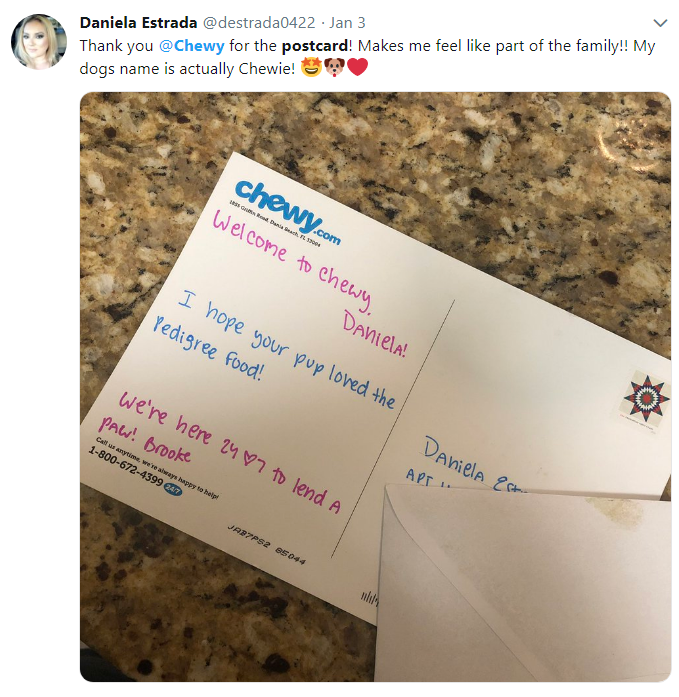 For example, if you know they are waiting on a special product of yours to launch (or you know they would love to know about it first) – send them a note before the launch. Let them know you are willing to set aside and hold an item just for them, so they don’t miss out on it if it sells out. Do something special to let them know that you thought of them first. You can even tag them on social media and send a special shout out or celebrate a special day, like their birthday! How many companies that you shop with send you a public “happy birthday” on social? Probably none! It’s these little things that can make you stand out! Make it a priority to always give your customers the best experience possible. This means, your whole staff must have the same focus. From the moment the customer walks in the door or calls your business, you and your staff must work together in helping that customer get what they need and what they want as quickly as possible. Whether they are buying a product or service or they simply have questions – make sure your team is working together to make it happen. When a customer knows they can count on you to get the job done (and with a smile and good attitude) they will always come back and/or send referrals your way. Even when you know a customer is not going to purchase anything, but they still have questions – helping them and leading them in the right direction to helping them solve a problem on hand will always guarantee that they remember YOU when they actually are ready to purchase a product or service or when someone they know is looking for what you offer. If for any reason, the customers’ experience doesn’t end up going so smoothly – make sure to do your best to work with that customer and see how you can resolve it. Always be willing to improve (even when you don’t think you need to!) Listen to your customers comments and complaints – the good the bad and the ugly. These are the people who are using your products and services. They know first hand what they love about it, what they hate and what could use a few tweaks. Don’t take it personally when they complain, this is actually a great time to learn what to improve – which could actually give your business a BOOST once you address it and fix it! Don’t try to just assume or figure out what your customers want or how they feel. Create a poll with a few of the ideas you’ve been thinking about and send it out via your blog, social media accounts, and email. Leave room so that customers can make extra suggestions as well. If you find that customers are ignoring the polls – try offering a small incentive for participating. This could be a small discount off their next purchase or even a chance to win something small like a gift card. Also – listen to your customer service reps, receptionists, social media managers and anyone else on your team who speaks to your customers. They know first hand what the biggest complaints are about, what suggestions customers have as well as all the things that people LOVE. Meet with your staff regularly and give them a chance to put it all out on the table. Together you can come up with solutions to problems or maybe even amazing new ideas for future products and services. Rolling out an update to your mobile app, so that it works correctly and removes a possibly frustrating experience for your customer. Sending out a monthly/yearly/bi-yearly (or similar) note to your client letting them know that you have set their appointment for them (using a similar day of the week and time as previous appointments). In the letter include an option to cancel or change the appointment. Do your best to anticipate if a customer may need something extra to enjoy your product/services and provide that to them before they have to take the time to reach out to you. 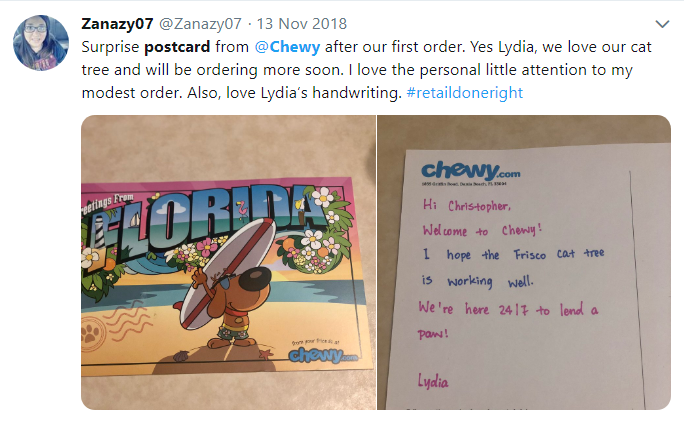 When you make it easy for customers to get their products and services and you can find ways to send special reminders, you, in turn, make their life easier and they stay loyal. Check in with customers and with prospective customers as well! Make it a habit to call clients a week or two after the sale or within a few days of a conversation (ie: they didn’t buy anything, yet) and find out how everything is going. The customer many times will say something like “Perfect timing, I actually needed to call you because I needed assistance” or something like “Everything is great, thanks!” (which can also lead to an upsell). If you had a prospective customer who maybe didn’t buy your product or service due to finances or having to tie up a few ends with another issue first, call them and check in on them. Don’t be a pushy salesperson – just let them know that you remember the conversation and wanted to check in and see if all was well/figured out. Let them know to give you a call if there is something you can help them with. A study by Label Insight shows that nearly 94% of consumers are more likely to be loyal to a brand when it commits to transparency, and 56% say they would be loyal for life. Commit yourself to building an authentic and transparent relationship with consumers. One of the most crucial things you can train your staff is the importance of customer service. In fact, it is a great idea to have weekly/bi-weekly/monthly meetings with your staff to continuously train in customer service. One bad apple with a bad attitude who throws customer service out the window can really hurt your brand. Meanwhile, staff who is happy and confident on how to handle customers (happy or irate) can boost your business and help a bad situation turn around for the better. Take customer service training seriously and invest in it! The ROI is well worth it! Check out our post: 10 Customer Service Skills to Master. Creating a loyal clientele of happy customers doesn’t have to be costly. However, you should never ignore any customer or potential customer after any sale or conversation. Incorporate these tips and watch your business grow! Do you have a tip that we have not listed that has worked for you? Let us know in the comments below!